Come on pallet crafters, just wake up. I have a handy plan here. I think we have had enough of some complex wooden pallet work done already, so this is the time to relax. I mean not totally, but we are going to have a partial break where although we would be working, but this project would be too much handy and easy. 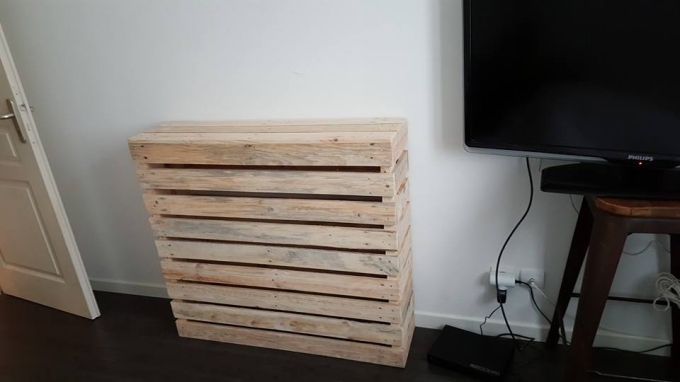 I have decided to make a simplest pallet TV stand. And as you all know that we would be making it with the same wooden pallets. But one thing is confirmed that this would be just as simple as possible. Keeping in mind the importance of a TV set, a TV stand is literally a must have for every house hold. I mean how on earth you can stay in touch with the world if you are not having a TV at your place? And you also have to be pretty cautious when it comes to the protection of your delicate electronic device, you just can not put it on the ground or just anywhere in the house. You have to make some special arrangements. So this simple pallet wood TV stand is just a surprise because this is the simplest one so far. 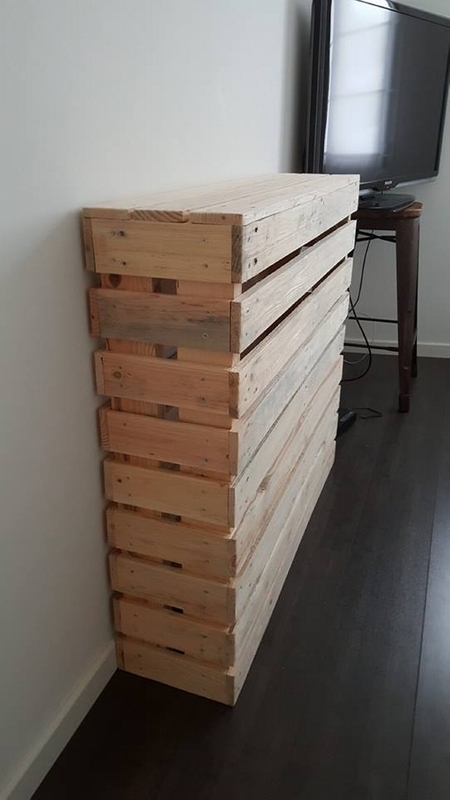 Looking at the pallet wood TV stand it literally looks like a straight wood pallet is simply pasted along the wall. But this would be a bit exaggeration, we have made some modifications on a whole wood pallet. Just to give it a proper stand like shape we had to make some changes and so we ended up making this simple pallet TV stand. 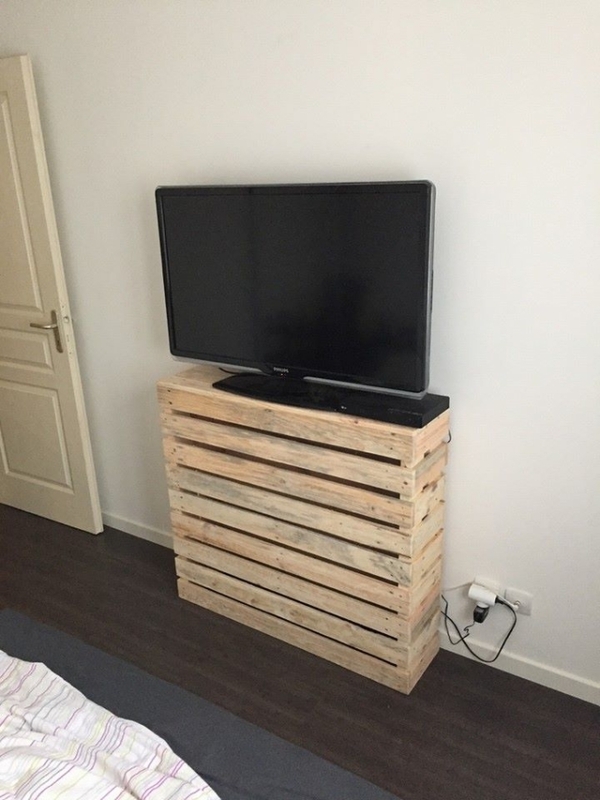 Just grab the TV set along with you wherever you want, room, lobby, lounge or any place, and you can also easily pick this simple pallet wood TV stand along with you.